Whiting, Ind. 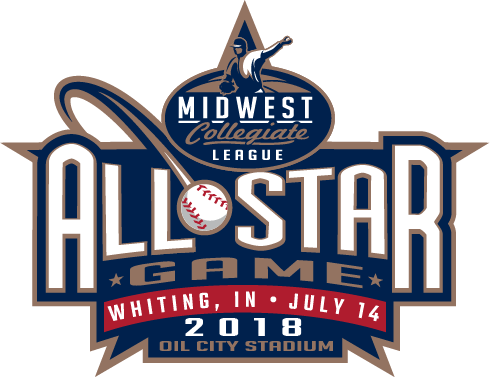 – July 8, 2018 – When the calendar turns to July, the race for playoff positioning heats up in the Midwest Collegiate League each summer. 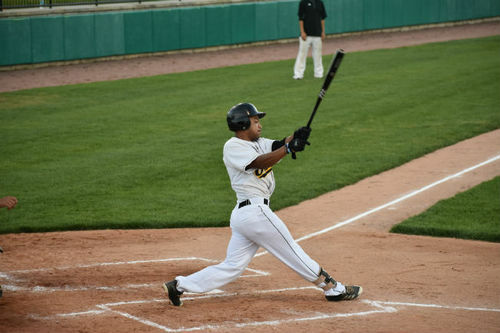 After falling 4-0 in the first game of Sunday’s doubleheader against the Bloomington Bobcats, the Northwest Indiana Oilmen found themselves with a narrow ½ game lead over Bloomington for third place in the MCL standings. The Oilmen continued their recent flair for the dramatic with their second come-from-behind, walk-off victory of the weekend in Game 2, winning 6-5 in extras to hold their third-place position. The second game required an eighth inning to determine a victor on a day that was slated to feature two seven-inning contests. The Oilmen twice came back to tie the game in the late innings, then walked off with a run in the bottom of the eighth. In the process, NWI improved to 6-0 in one-run games this season. Sunday marked the start of a week-long stretch where Vitulli is filling in for Oilmen manager Adam Enright, who is attending to business related to his new head coaching job at Missouri Valley College. Amir Wright (St. Leo / Griffith, Ind. ), who recently rejoined the Oilmen for his second season with the team after starting the summer in the Prospect League, was the offensive star in Game 2, racking up three hits including a pair of doubles. Brandon Petkoff (Texas A&M Corpus Christi / Frankfort, Ill.) also doubled twice in the second game. Zaid Walker (Michigan State / Flossmoor, Ill.) was the lone bright spot in a Game 1 loss, going 3-for-3 before adding another three-hit output in Game 2. He hit the ball that led to the game-winning run in bottom of the eighth of the second game, as the Oilmen capitalized on a walk-off error for the second time this season. Walker single-handedly accounted for three of the five Oilmen hits in the opener. Bobby Nowak (Kankakee CC / Cedar Lake, Ind.) gutted through four innings of relief for a well-earned win in Game 2 (5 H, 3 R, 4 SO, 5 BB) to improve to 1-1. Hunter Simon (0-3) was charged with just the one unearned tally in 1 1/3 innings but was hit with the loss for Bloomington (15-15). In the first game, Quin Gudaitis (2-4) threw a complete-game shutout while scattering five hits and striking out eight, while Chad Patrick (Purdue Northwest / Hebron, Ind.) allowed three runs on two hits in 4 1/3 innings to absorb the defeat and fall to 2-1. The biggest moment of Game 1 came when Eric Kozlowski ripped a bases-clearing double to drive in three in the fifth. In Game 2, the Oilmen (18-15) survived a go-ahead Garrett Shea homer that temporarily snapped a 4-4 tie in the sixth. Wright scored after doubling to lead off the bottom of the sixth to provide a quick response and level the score at five. After taking Monday off, the Oilmen will return to the diamond on Tuesday at 5 p.m. CT against Joliet at Wayne L. King, Jr. Field, the first of four straight games on the road. Dan Harty and Sam Oppenheim will have the call on the Oilmen Broadcasting Network.